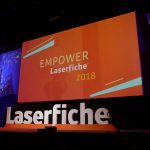 Enter Laserfiche Video Competition and Win Two Conference Registrations! Follow the City of Lynwood, CA’s lead and submit your own video showing how Laserfiche helps your organization run smarter! You can rewrite your version of Lynwood’s “Run Smarter” rap, create your own song in any genre, choreograph a dance routine or act out a skit—whatever best expresses how you and your organization use Laserfiche. 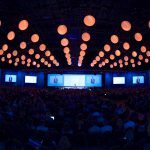 One grand prize winner will receive two free registrations for the 2011 Laserfiche Institute Conference, where their video will be premiered for the Laserfiche community. All participants will receive a Laserfiche gift and will be featured on the Laserfiche Video Channel. Our winner will be announced in the December UserNews. If you have any questions, please contact Hobey Echlin at hechlin@laserfiche.com.